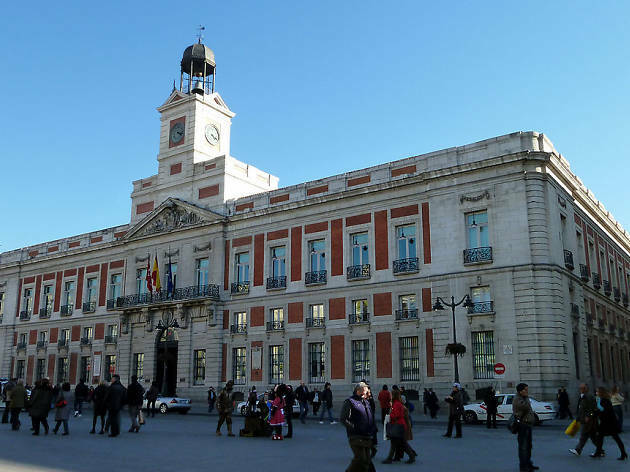 Located smack in the centre of Madrid, in Puerta del Sol to be exact, this late-18th-century building is one of the oldest in the area. Perhaps its most famous feature is the clock that shines at night from the rooftop turret and also counts down to the New Year every December 31. Just in front of the main entrance is a famous plaque that indicates the exact point of 'kilometre 0', where all the motorways in Spain start. 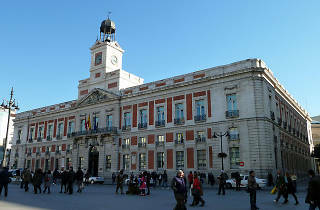 Currently it houses the seat of the government of the Community of Madrid.